The 16-year law enforcement veteran has served a key role in bringing LGBTQ inclusivity to police departments across New Jersey. Lieutenant James Tracy is a 16-year veteran of the Englewood Cliffs Police Department in New Jersey. 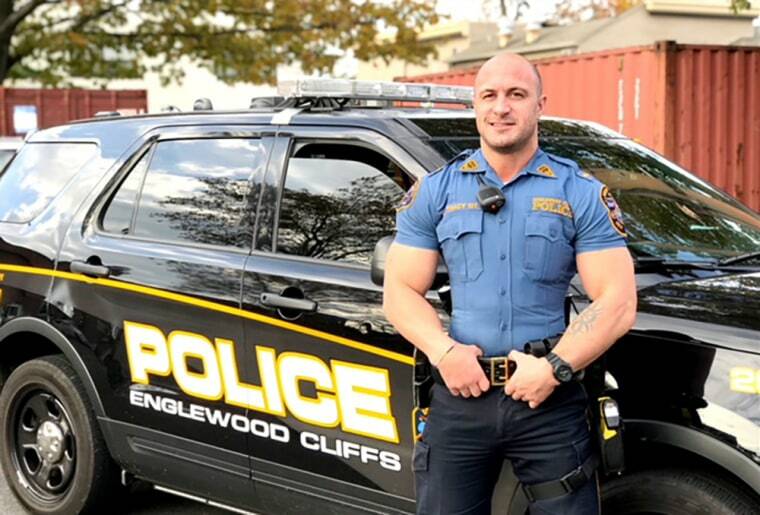 In addition to protecting the community of Englewood Cliffs, a suburb of New York City, Tracy has also served a key role in bringing LGBTQ inclusivity to police departments across Bergen County, which sits in the northeastern corner of the Garden State. Tracy, 40, helped to initiate the Bergen County Police Academy’s very first LGBTQ bias training program in 2016. Now, the New Jersey native is working to expand this program throughout the whole state. Last June, during LGBTQ Pride Month, Tracy started an initiative where every officer in his department wore “rainbow pride bracelets." The program was intended to show the town's LGBTQ community that their police officers are dedicated to inclusion and are supportive of everyone's rights. The program also initiated a dialogue between officers and numerous residents who asked questions about the bracelets and how they could get one for themselves. In addition to LGBTQ equality, Tracy has also been dedicated to engaging with youth and training the next generation of law enforcement officers. Tracy is the co-founder and leader of the Junior Police Academy, which is held annually in Englewood Cliffs. It’s a weeklong summer program that trains young people who may want to pursue a career in law enforcement. The program is now in its 14th year. What inspired you to initiate a training program on LGBTQ bias and related issues at the Bergen County Policy Academy? "I was 'in the closet' for the first 10 years of my career as a police officer. I worked with an awesome group of professional officers, yet for too long I refused to tell them the truth about my sexual orientation for fear that they would not accept me. Eventually, it become too much of a burden, and I began to disclose this to my co-workers. The relief that I experienced after coming out can't be described with words; it was just this enormous weight off my shoulders. After experiencing that, I wanted to help other gay officers who may be dealing with the same struggles. Ten years of hiding who I am was much too long; life is too short to hide anything about yourself. At that time, I knew that I wanted to do something, but I wasn't sure what or how. Then out of nowhere, a friend of mine who worked in a neighboring town took his own life. He had been struggling with some of the same issues I had been, and his suicide bothers me to this very day. This was the main factor that drove me to desire to do something — to bring about positive change." Can you describe the training program? "The bias training consists of a presentation by a group of gay officers. Initially, a group called GOAL (Gay Officers Action League) came from the NYPD and did a great presentation, which included personal stories about the struggles the officers faced at the department and with the public. The curriculum also includes acceptable language and terminology, how to build trust with the minority community, and the proper procedure for processing prisoners. The program is eye-opening, and frankly, anyone can benefit from it." What is your advice to other agencies around the country who want to implement LGBTQ training? "The training needs to focus on diversity and inclusion. Every agency has policies and procedures that tell you what you can't do and what you can't say, and training that focuses on these prohibited things makes people uncomfortable. People will remember that training and reflect back on it when they meet a LGBTQ person. They will then shut down and limit their interactions out of fear of saying or doing something offensive. This is the opposite of what we aim to achieve; we want a dialogue. If you train people from a diversity and inclusion perspective, you don't need to spend a lot of time on 'don't do this' and 'don't do that' ... The LGBTQ population is the only demographic that crosses into every race, ethnicity and religion. Essentially, we are a minority within a minority, and if agencies are not providing bias training on LGBTQ issues, they are missing a huge minority segment." "Pride to me is about being proud of yourself, accepting yourself, and everything about yourself —regardless of what other people think." 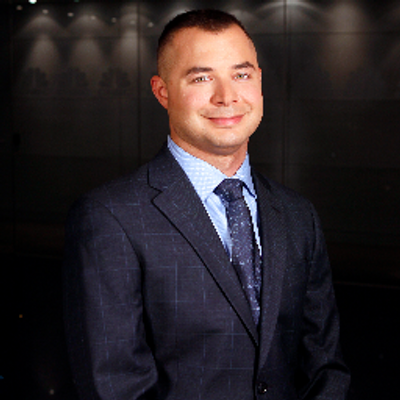 Ryan Ruggiero is the Senior Assignment Desk Manager at CNBC.